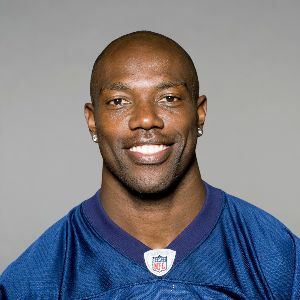 Terrell Owens is a former NFL wide receiver who played 15 seasons in the National Football League. A six-time Pro Bowl selection, Owens, known in his playing days as T.O., holds or shares several NFL records. As a member of the NFL’s 2000’s all decade team, his career stats are Hall of Fame worthy with 1,078 receptions, 15,935 yards and 153 receiving touchdowns. Now your organization can book NFL legend, Terrell Owens for corporate appearances, speaking engagements, VIP Meet & Greets, autograph signings and other events. Terrell has always captivated audiences on and off the field. Hire Terrell to meet and mingle with your best customers, clients and employees. 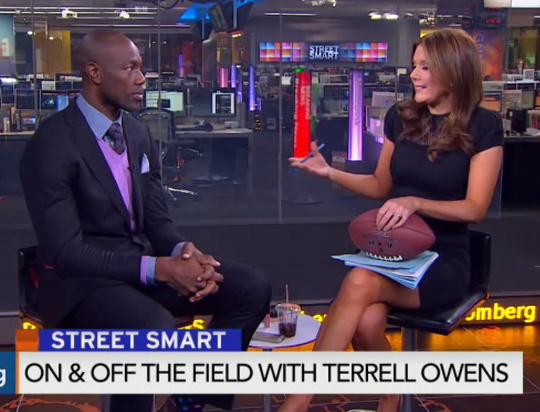 Philanthropist, Entrepreneur, Fitness Expert, Model, Motivational Speaker, Humanitarian, Loving Father and the NFL’s 6-Time Pro Bowler Terrell Owens is a man on a mission. His extraordinary skills on the gridiron and elite athleticism raised the bar for Wide Receivers in the league. Owens is credited with being one of the most exciting and electrifying players to ever play the game, with 1078 Receptions, 15,935 yards, and 153 touchdowns during the span of his 15 year career. Terrell Eldorado Owens was born in Alexander City, Alabama on December 7, 1973 where he attended Benjamin Russell High School. There he excelled in several sports including football, basketball, baseball and track. After being recruited by the University of Tennessee at Chattanooga (UTC), Owens made a name for himself as an explosive receiver, earning first team All-Southern Conference honors and setting a school record for catching a pass 11 consecutive games. Terrell was drafted by the San Francisco 49ers in the third round of the 1996 NFL draft, spending 8 seasons with the team. Owens’ made his mark in the league by amassing a highlight reel of spectacular plays and performances. This includes a game-winning touchdown against the Green Bay Packers in a 1998 wild-card playoff games that was dubbed “The Catch II”; a record breaking day of December 17, 2000 when he surpassed the 50 year old mark for the single-game reception total: and his role in leading the 49ers to the second greatest comeback in NFL playoff history, which occurred against the NY Giants in 2002. In 2004, Owens joined the Philadelphia Eagles making an immediate impact on the team, averaging one touchdown per game. This helped the Eagles to win 13 of its first 14 games, paving the way to Super Bowl XXXIX. Despite a late season injury that doctors had projected would take weeks to heal, Owens started the game and had nine receptions and 122 yards in a disappointing loss to the New England Patriots. Owens went on to play for the Dallas Cowboys embarking on another storied legacy. In his first season with the team, Owens led the league with 13 regular season touchdowns and this despite a serious tendon injury to his finger. While doctors recommended season ending surgery, Owens elected to wait until the end of the season to repair the damage. In 2007, Terrell set a Dallas Cowboys record with 15 touchdown receptions and helped lead the team to the NFC East divisional title for the first time since 1988. Owens also amassed 69 catches for 1,052 yards and 10 touchdowns in his last season for the Dallas Cowboys. Owens entered his 14th NFL season with the Buffalo Bills. It was in this season, Terrell became only the sixth player to record 1,000 career catches. Owens also added stints with the Cincinnati Bengals and the Seattle Seahawks to his resume. Owens has garnered countless awards and accolades for his work on and off the field. Including, Six Pro Bowl appearances, 5 time Associated Press All-Pro, Recorded Five Seasons with 13 or more touchdowns, and the first to score a touchdown in seven straight “Monday Night Football” games. On September 15, 2008 in yet another remarkable Monday Night Game, Owens moved into second place on the NFL’s all-time career touchdown list. Owens’ work on the field is only mirrored by his accomplishments off the field including partnering with the Alzheimer’s Association which is near and dear to his heart. Owen’s beloved grandmother Alice succumbed to the disease two years ago. Owens also testified before Congress to raise awareness about the disease. Next Modeling Agency signed Owens to a modeling contract last year and he recently began a partnership with Relativity Sports to secure new entertainment and business endeavors. Owens is also a respected and best-selling author, penning a children’s book, “Little T Learns To Share” and a fitness book “T.O.’s Finding Fitness”. Owens’ latest endeavor, the “What TO Do” Global Campaign is an initiative aimed at empowering and motivating youth around the world through speaking, workshops and with the launch an inspirational clothing line for men, women and children. In 2017 he was named to the cast of the hit TV show, Dancing With The Stars.